The fundamental viewpoint of prophecy according to Judaism differs from the popular notion, which is someone who can foretell the future. That is part of it. In fact, one of the tests which established a prophet as authentic was his ability to predict the future. Nevertheless, that was not their main task. First and foremost, prophets were role models. They had to be impeccably and unimpeachably good. Their character invested them with a stature and aura long before they got around to predicting the future. Kings in the ancient world wielded almost absolute power – and most of the time they did not tolerate others telling them they were wrong. Those who did so often found themselves a head shorter. One of the great problems of any leader — political, religious, corporate or otherwise — is that he is usually surrounded by sycophants, “Yes-men.” Hermann Goering, second highest ranking Nazi, was asked after the war why everyone blindly obeyed Hitler. Where were all the “No-men”? “Buried six feet underground,” he replied. “Not me,” the prophet replied. “You — your family and your father’s house” have destroyed it (I Kings 18:17-18). If you see destruction, do not look at me. Look at yourself. No one ever spoke that way to Ahab – and lived to tell about it. Remarkably, though, Ahab not only listened but even repented (I Kings 21:27). Elijah’s words touched him inside somewhere. How did he do so? He was his moral conscience. Somewhere buried inside Ahab knew Elijah was right. As long as the prophets were functioning things were never beyond hope no matter how bad they looked. In an instant they could turn around a backsliding generation. That is illustrated by the famous story of Elijah and the false prophets of the idol Baal. Out of a population of at least a million people in the kingdom of Israel there were only 7,000 who did not kneel to the Baal (I Kings 19:18). Yet after Elijah exposed the false prophets the people fell to their knees and shouted: “God is God. God is God” (I Kings 18:39). No matter how much one has become immersed in an empty culture, gotten used to morally lax standards, veered far from one’s true self there remains that “still, small voice” (I Kings 19:12) inside that knows right from wrong, truth from untruth. That was the secret and greatness of the prophets. They could touch that small, still voice and ignite the flame of moral conscience in an instant. The Tanach includes 24 books containing the words of 48 men and seven women who served as prophets. However, there were over a million prophets who did not leave behind books, yet they, too, served the role of prophet in one form or another. The Western image of a holy man is Mahatma Ghandi: a person who walks around in a white sheet and drinks fruit juice; someone who has nothing to do with earthly life; a monastic. That is not the Jewish concept. Most of the prophets were even engaged in very menial occupations: shepherds, shoe-makers and plowmen. They were parents and spouses like everyone else. Yet they were holy men. They looked to sanctify life and bring that sanctification to others. The Talmud says that from the time prophecy was taken from the Jewish people, after the destruction of the First Temple, it was given to children and the insane. The line between sanity and insanity can be very thin. When prophets experienced prophecy they went into a trance. It was a physical suspension of ordinary bodily functions. At that moment they were not in contact with reality as we know it, but a different reality, an ultimate reality. Only when it passed did they remember the prophecy. The gift of imagination is close to the gift of prophecy. It is the idea of living in a dimension above time and space, beyond one’s “normal” self. That is why the Talmud says that the gift of prophecy was given over to children and the insane. Children are the ultimate in unreality. They still have within themselves the ability to capture what is unreal. To them it is real – whether it be their fears, hopes, games, etc. A toy car is not a toy; a child drives all over the world with it. Only a child can do that. It is one of the gifts that God invests children with. The prophet had to have a little bit of the child in him, a little bit of the ability to unhinge himself from ordinary reality that the rest of us are committed to. That is why, above all, he could speak to the king. He was not rooted in the same reality that the king was rooted in. He saw the world differently and thus saw his role in the world differently. The sages of Jewish Tradition said that an angry person could not become a prophet. Maimonides has a long explanation in his “Guide for the Perplexed” about this. Some people have the impression that the prophets were angry individuals. Whether it is Jeremiah, Amos, Isaiah, etc. – they were always telling off the people. They must have had tremendous anger in them, some might conclude. However, it is not true. If they were genuinely angry they would never have been prophets. The prophets cared. They cared about the Jewish people so much that they told them everything. If and when God felt that a prophet overstepped his bounds He reprimanded him. When the prophet Isaiah said, “I dwell among a people of unholy lips” (Isaiah 6:5), an angel immediately burned his lips (ibid. 6:6-7). The lesson was: If you have a complaint about the Jewish people tell them yourself. Do not complain to heaven. There is no “Complaint Bureau” in heaven. The moment it is told to the people by the prophet it is love. The moment it is told to others, even God, it is not love. If a person comes over to you and says, “I want to talk to you about your cousin,” you know that he has something against your cousin. If he cannot speak to him himself then he probably should not speak about it at all. Prophecy was a holy gift of God. Therefore, it was only operable upon holy people. It was not the ability to predict if the market is going to go up tomorrow or not. That is not what the prophet was really about. He represented something much more. Understanding the true nature of the prophets sheds indispensable light on the events of the two kingdoms. The kingdoms ultimately destroyed themselves, but the people survived. The prophets were a major reason for that. They were the ones who brought the higher consciousness of the Torah viewpoint to the people. They offered a perspective beyond the pressing temporal concerns of the time and thus infused into the bloodstream of the nation an element of eternity which enabled the Jewish people to survive blows that consigned others to the dustbin of history. I learned navi in high school and in yeshiva in Israel. 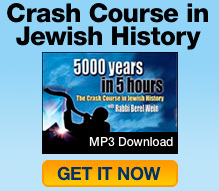 I haven’t clearly understood it until it now, as presented tby Rabbi Wein. All Jews, especially those in the Yeshiva world, would benefit from his words.